One for the horse fans. 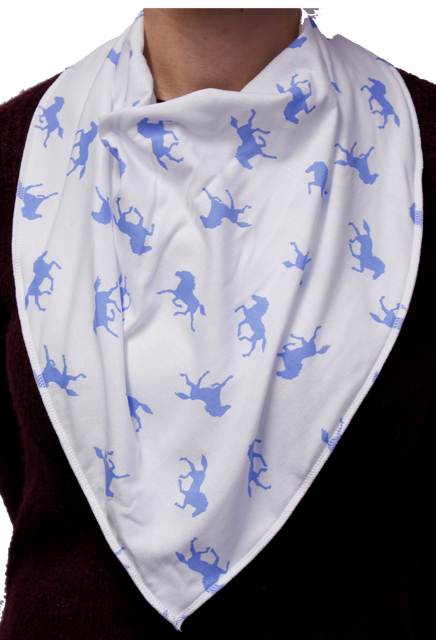 A plain white bandana bib covered in blue horses. White fleece and stitching. Our large bandana bibs are suitable for girls, boys, men, women, old and young. Bibbleplus fastens with two adjustable poppers. Machine washable. Soft fleece backing and cotton top fabric create a 'tunnel' effect to stop wetness going through to the wearers clothing, keeping them dry.